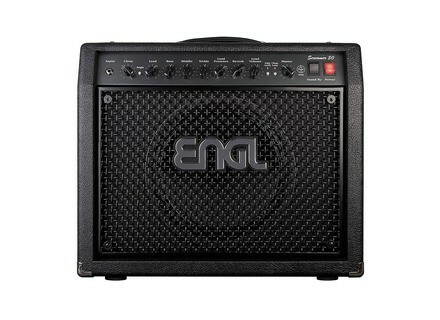 E330 Screamer 50 Combo, Tube Combo Guitar Amp from ENGL in the Screamer series. Amp lamps (4 12AX7 and 26L6GC) 50W. The bowl is a vintage Celestion 30 (in other words one of the best guitar hp of the moment). The connection is sufficient: input facade, fx send / return (mono), hp outputs (or 1x8ohms 2x16ohms or 1x16ohms or 2x8ohms), XLR output, footswitch 1 (Contrle clean / lead and hi / Logain by a jack st ro), 2 footswitch (selections of the output level and reverb on / off by jack stro) port for the z-5. 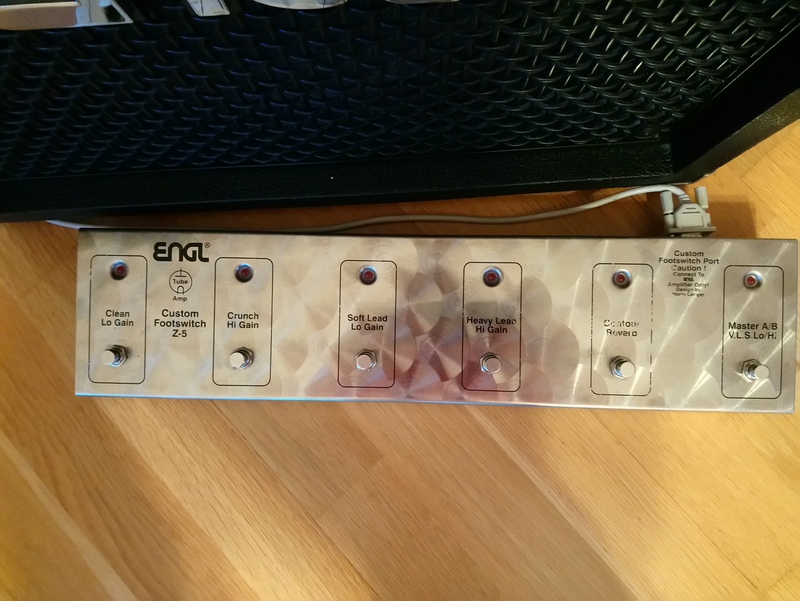 1 eq common for 2 channels (which may be the default of this amp): bass, mid, trebble. 1 bright mode that apllique also all channels. 1 treble presence of potted lead. 1 stand by (handy for keeping hot lamps for a guitar change for example. 1 knob output level of the XLR. Setup is a breeze due to one eq. However, the common rglage gain between 2 channels apparis complicates the task: find the point of sufficient gain to cruncher while remaining clean with a hum in clean. But once done, it is pure happiness and the least we can say is that this amp sounds very well. Unable shot stick 10/10 because certainly other guitarists do not rouveront this compromise. I play a lot of metal, grunge, a little less rock and blues. For metal, grunge I use a Schecter C-1 Classic (SH2 / SH4), a '02 SG Special Faded (490R / T) for the rock / blues. Overall, the cleanliness is the order of the day. This amp sounds modern, very modern in all registres.Seul a little rocky blues does not go too far because of high modernity sound. Whatever the channel. The variety of sounds that you can get out is quite consquente: turns very clear crystalline split position, without being garish. The crunch announces a resolutely modern rock, even with the SG Special which possde a fairly old school bell. In metal, the saturations are sharp, powerful and prcis muts when the tapping, pure rgal, though I be only beginner in this field. the leads are beautiful, harmonic out. in short all good. I appreciates the most is obviously sound and sound obvious modernity of the craft coupled versatility. I might regret a perspective sound is not to have a "vintage" fashion, a design point of view, it requires some compromises: eq common, not str o.
I tried many things before: Fender DETAILEDREPORT not for the big saturation, marshall who lacks cleanliness and DETAILEDREPORT old school, peavey so versatile that it lacks character, h & k not proposed to 'equivalent) mesa I do not like the grain, much less the price crate is too rare. 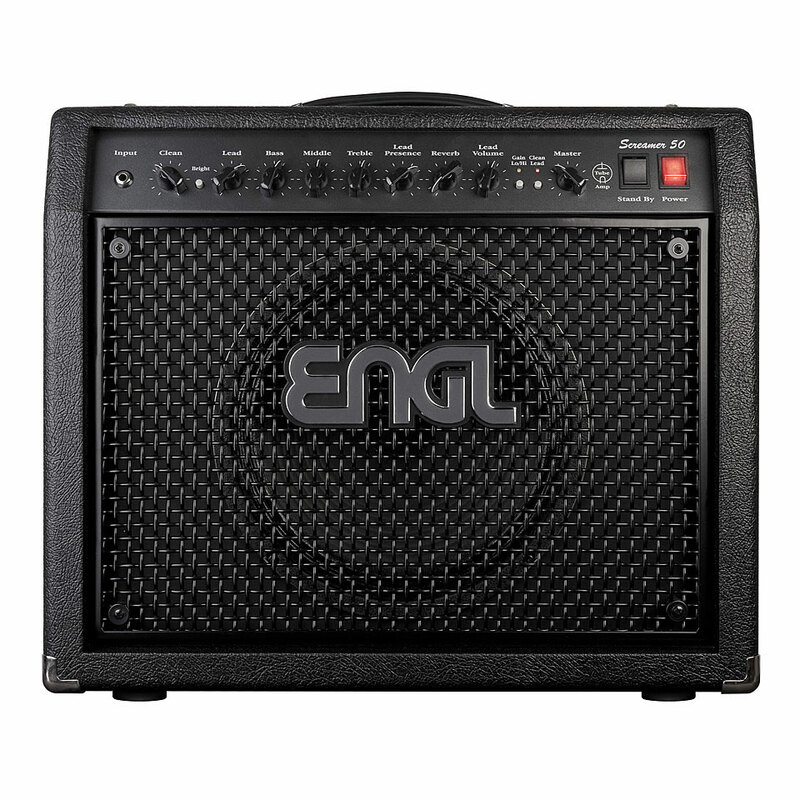 However, this is an amp whose purchase must be rflchi in terms of rig for its modernity that does not allow him to play all styles and also these small defects eq. The price quality ratio is perfectible (2x12 competition offers in this price range). For those seeking a combo that sounds modern, I highly recommend his essay. Small precision I the old version: "brown face"
Ms. characteristics but only 3 channels and 85 hp Celestion gh. I play mostly rock, jazz, prog times; no Mtal. I wanted a sound prcis in all circumstances I served! The clean sound is clean and the remaining high-volume, lightweight crunch with my tone zone in the bridge position. (S) lead is superb, it seemed a bit dry to departure, as i changed the 12ax7d'origine in which v1 Was a bit tired for a 12 AX7 Well, the CHG SG is quite significant, + sound is thick, harmonics come out, it's HOT and always this diabolical precision. Leger least CPDT, lacks a burning crunch and a bit messy for small-inspired riffs "vintage" (...) is expected to rgler with good pedal on the clean. The - abscence of a little crunch "vintage"
These amps have a beautiful sound, but one sound .The usable Relement screamer allows great versatility with very credible sounds in several genres. Amp 50watts lamps, clear channel, a crunch channel, a channel and a lead channel LEAD2 (high gain) .. a rverbe, an effects loop .. superb finishes, it is very class. Very easy to use, it quickly gives a good sound .. the manual is not really useful. It is easily a very good sound, even low volume, but it is the lamp, it sounds even better by pushing the volume .. rglages are fairly intuitive. 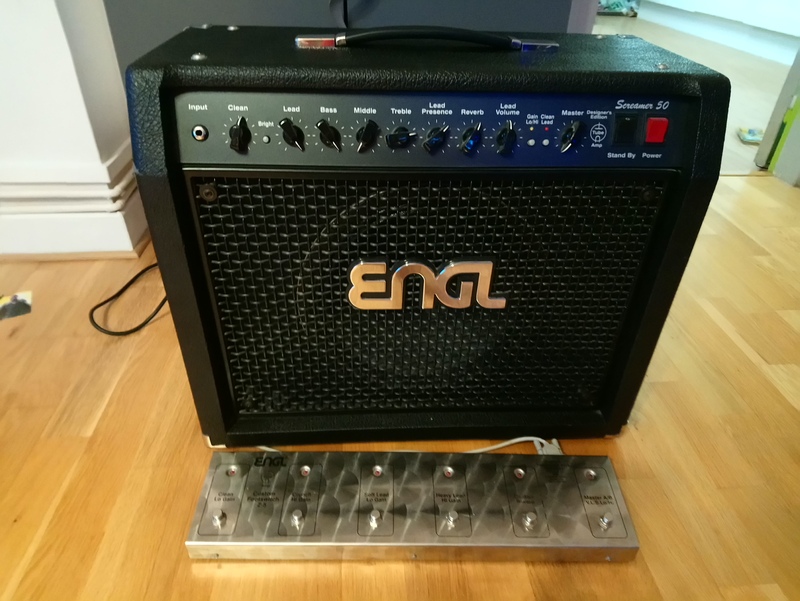 It's ENGL, the reputation is no longer, the last is not the sound of the head powerball, but for a budget reduces the practical ct combo and the ability to play at home without the risk of alerting the police, the Screamer 50 is a steal! I hesitated a lot before choosing this amp (especially with the Hughes and Kettner switchblade 50) I think I made the right choice .. 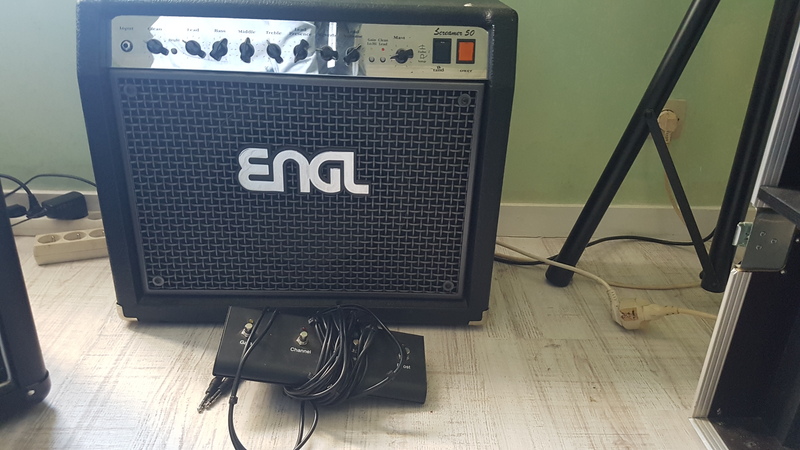 List price 1323 euros and 230 euros Z5 footswitch, we get about 1550 euros, I managed to get off 1150 euros (and I'm not very good bargainer) that the price should not be deprived c is great stuff! I use it for about 3 months and I'm still satisfied. Before_'s review (This content has been automatically translated from French)" Heavy (literally and figuratively)"
Amp all lights as they say, 50 Watts sending wood. There is an effects loop, a connection for a z5 pedal (which costs an arm and dispensable if you like a pedal Boss FS 6). For references lamps, see the site builder I did have in mind. Settings of its usual two bitoniots for drive and distortion. Very simple, one branch is played, the settings are quite delicate as sensitive on the other hand. In distortion, that the amp or via a dedicated pedal is simply a SLAUGHTER. Pop rock, punk, metal, it gives free rein to your savagery. The distortion of the amp is "grainy" and controlled the game is well made and faithful. Crunch is also very nice, crisp and responsive, and when you combine the drive and distortion, tell the neighbors that hard. Clearly, a lot of treble, you will be asked as a group to reduce because it can break the ears, with the setting of tone, no worries, add bass and midrange hop and voila. Note the presence of a Clean button you can push the volume of clean without it crunch. The effects loop, which can be adjusted via a knob presence behind the amp, complies with the modulations that you send, no worries, I personally could do without as plugging in frontage or in the loop, no I do not care. And I play with a Mustang and a Telecaster (Aerodyne) mainly above, and an array of Boss (DD20, SD2, CE 3, BF2) mainly. Beef up you: the amp weighs a dead donkey. 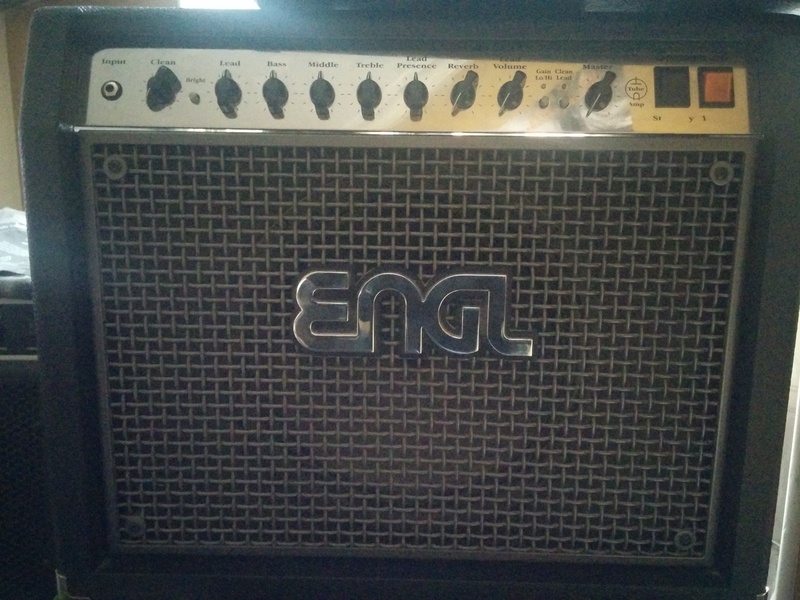 I use it since 2006 and this is my first tube amp. At the time I had let myself be seduced by the sound reproduction, the distortion of the amp, his mouth (rugged and cool design) but with hindsight and experience, I think that 50 watts is already too much (for me anyway). A 30 watt would suffice. Amp great for distorted sounds, but for cleans sounds can be a Fender or Vox prefer, there may be lack of heat for that, because the Screamer is a beast of distortion you need to know prepare.